Amid the deaths of nine people in San Antonio, state and federal officials used social media and formal statements to tout a new anti-"sanctuary city" law, human trafficking legislation and U.S.-Mexico border security. Following the deaths of nine people in what police are calling a "human trafficking crime," Lt. Gov. Dan Patrick took to Facebook Sunday to highlight the importance of cracking down on "sanctuary cities." 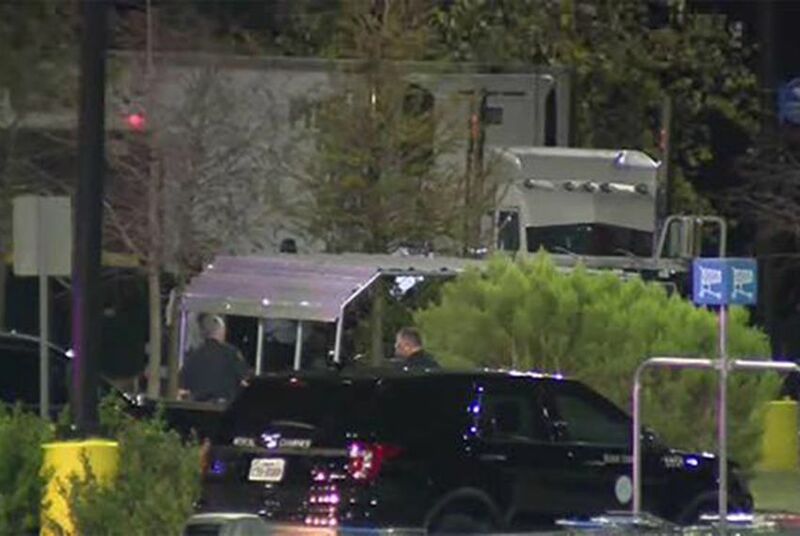 Police found eight people dead in a tractor-trailer in a Walmart parking lot early Sunday morning, with no air conditioning in the sweltering summer heat, according to the San Antonio Express-News. One later died in the hospital, and about 20 survivors suffered from heat stroke and dehydration. Some survivors identified themselves as Mexican nationals. Patrick wrote the incident was indicative of why Senate Bill 4 is so important. The law, scheduled to go into effect Sept. 1, requires local authorities to cooperate with federal immigration officials and allows police to ask about the immigration status of people they lawfully detain. "Today's tragedy is why I made passing Senate Bill 4 to ban sanctuary cities — which is now law — a top priority," Patrick, a Republican, wrote on his Facebook page Sunday afternoon, with a link to an ABC News report. "Sanctuary cities entice people to believe they can come to America and Texas and live outside the law. Sanctuary cities also enable human smugglers and cartels. Today, these people paid a terrible price and demonstrate why we need a secure border and legal immigration reform so we can control who enters our country. We continue to pray for the families and friends of the victims." The cities of Houston, Dallas, San Antonio, Austin, El Paso and El Cenizo are among the local governments suing Texas over the law. Gov. Greg Abbott issued a formal statement with no mention of SB 4, instead highlighting the importance of a bill he signed to help the trucking industry report signs of human trafficking. U.S. Sen. John Cornyn, R-Texas, also weighed in on the incident Sunday morning. "Border security will help prevent this Texas tragedy," he wrote on Twitter.